The FA will not to take any action against defender Rio Ferdinand for his off-the-ball shove on Fernando Torres during Sunday's FA Cup clash between Manchester United and Chelsea. The incident was on the agenda for the FA as it went unseen by referee Howard Webb. The FA, however, decided that they would take action against the United defender and he will be available for the quarter-final replay, whenever it is played. Ferdinand went in for a challenge with Torres and after the pair had got up, barged him with his forearm and kicked his achilles while the referee was looking the other way. The Chelsea striker fell to the ground in a heap and the United defender then dragged the Spaniard back to his feet. Last Tuesday Ferdinand was seen sarcastically clapping in referee Cuneyt Cakir's face in the aftermath of United's 2-1 defeat by Real Madrid. 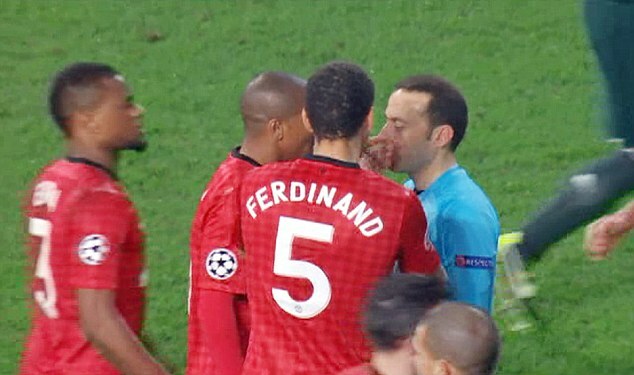 Cakir had controversially sent off Nani during the game and the furious Ferdinand made his feelings clear at the final whistle. He avoided censure from UEFA over the incident and the club also were not punished for not fulfilling their post-match media obligations.